Conrad Manila (马尼拉康莱德酒店) is a luxury hotel located at the Mall of Asia (MOA) complex in Pasay City, Metro Manila which opened last June 15, 2016. 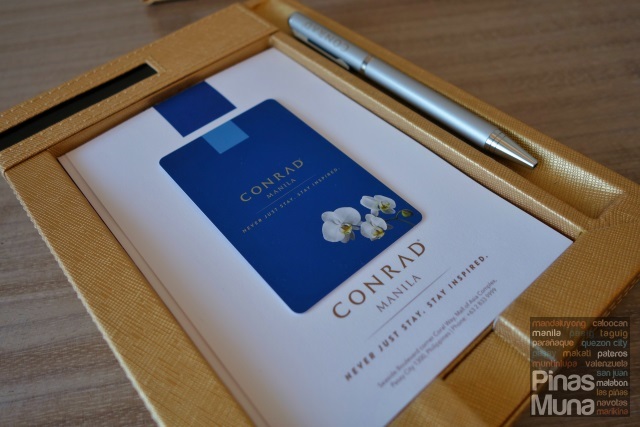 Owned by SM Hotels and Conventions and managed by Hilton Worldwide, Conrad Manila is the first Conrad-branded hotel in the Philippines. 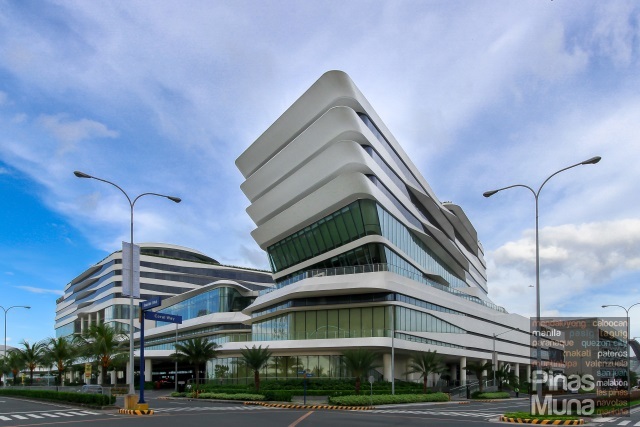 The property is famous for its distinctive architecture inspired by the shipping vessels docked at the Manila Bay. The hotel is accessible from Seaside Boulevard. The driveway leads directly to the hotel's welcome lobby. 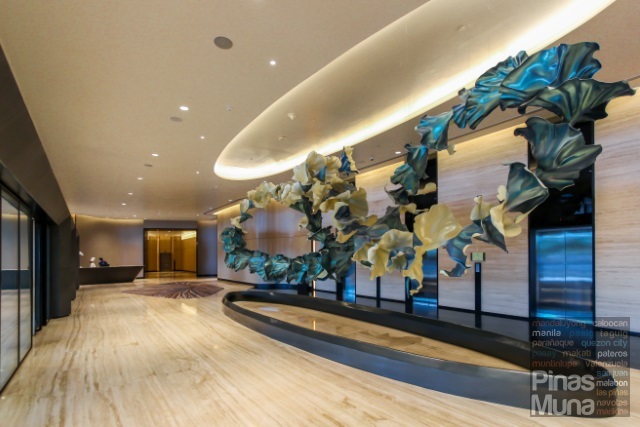 Arriving guests will be greeted by a hanging sculpture made by Filipino artist Leeroy New, who got his inspired from sea plants. 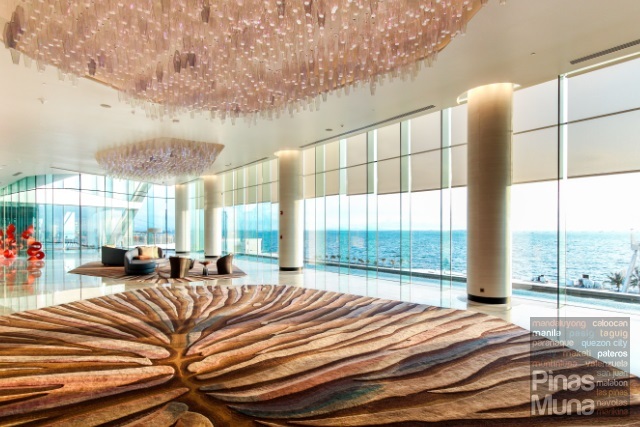 The artwork brings in elements of the sea into the interior of the hotel. 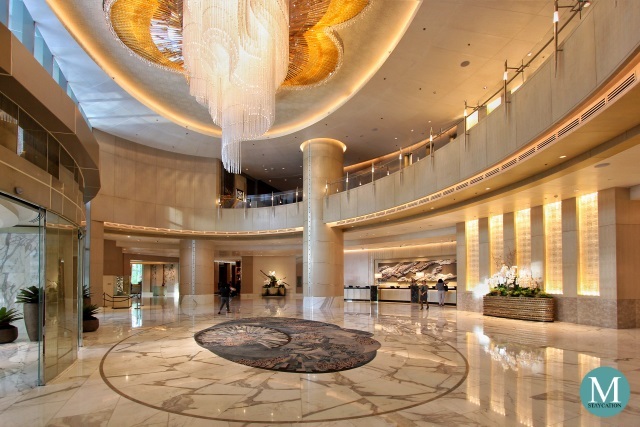 The hotel's reception lobby is located on the third floor which accessible through an elevator from the welcome lobby and basement parking. 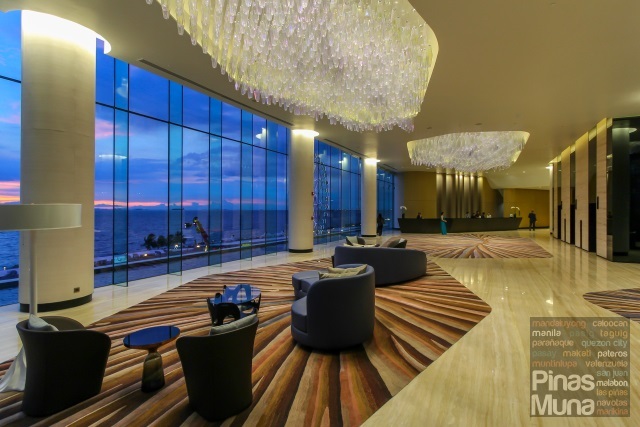 The main lobby features a high ceiling with floor-to-ceiling glass wall which opens up to an unobstructed view of Manila Bay. 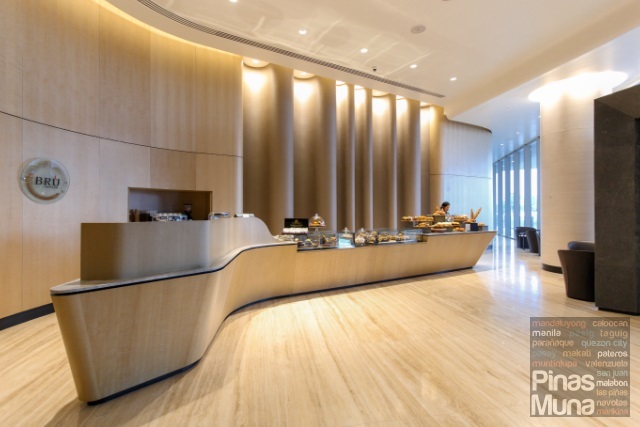 The front office is conveniently located at the main lobby. Guests checking-in and checking-out from the hotel are attended by the front office staff while a separate counter is dedicated for Hilton Honors members. 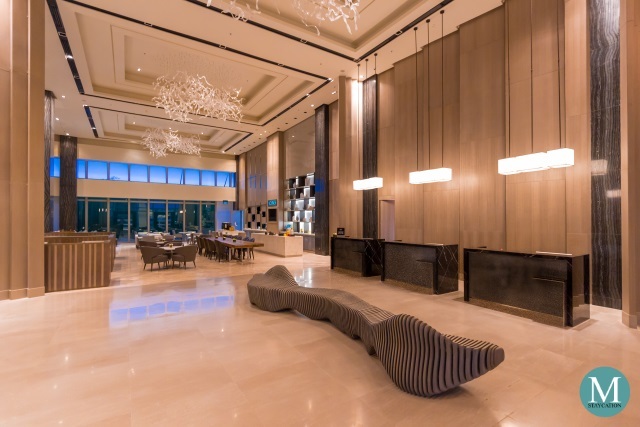 Guests waiting for their room to be ready are given the option to wait at the lobby's sitting area or at the C Lounge located right behind the front office. We stayed in a Bay View Deluxe King Room located on the fourth floor of the hotel. 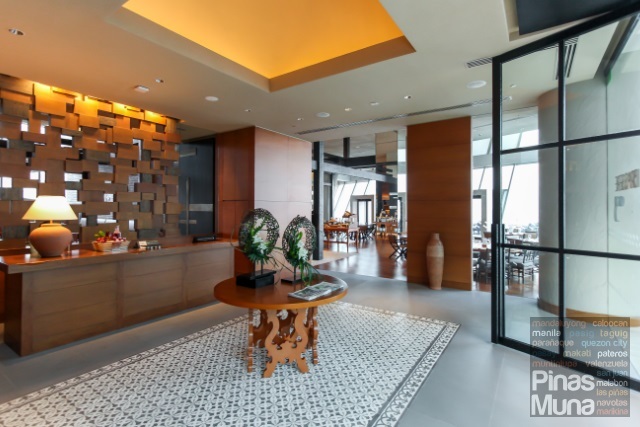 The room has a contemporary Filipino design with details of local materials and patterns matched with state-of-the-art technology features. 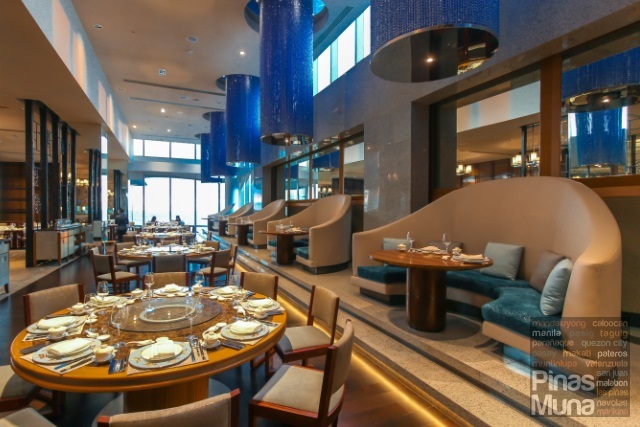 Buffet Breakfast at Brasserie on 3 - guests who booked a room package inclusive of breakfast can enjoy a wide selection of local, Asian and Western breakfast items at Brasserie on 3. Walk-in guests are also welcome. Semi-Buffet Breakfast at the Executive Lounge - guests staying in Executive Rooms or any of the Suites have the choice to have the full buffet breakfast at Breasserie on 3 or opt for a semi-buffet breakfast in a more private setting a the exclusive Executive Lounge. 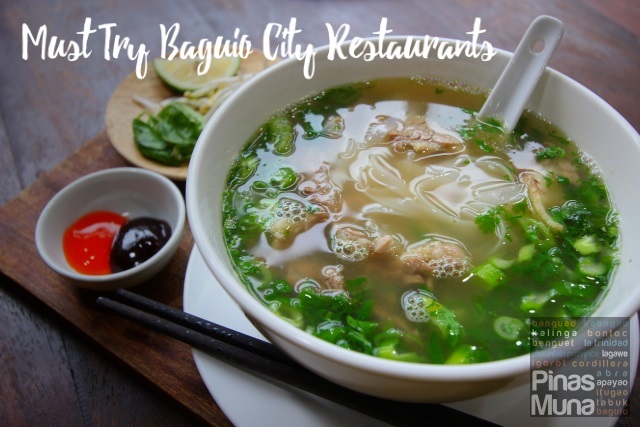 The buffet spread includes continental items, fresh fruits and salads, Western and Asian warm dishes plus unlimited servings of dishes from the a la carte breakfast menu. 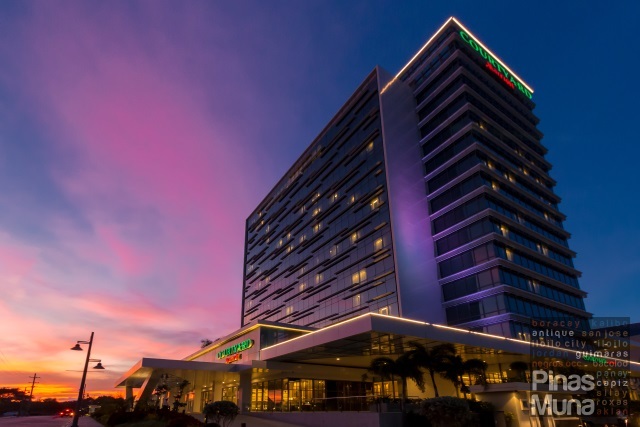 Conrad Manila being located within the SM Mall of Asia complex, guests enjoy endless dining options from fastfood and casual dining restaurants located inside SM Mall of Asia to the buffet restaurants and bars at the SM by the Sea. 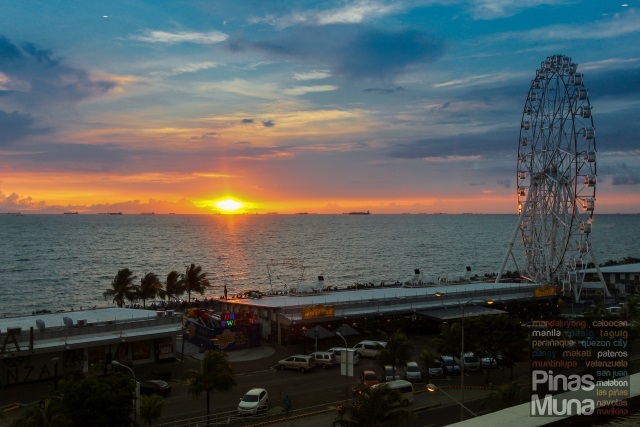 Guests can also enjoy the glorious Manila Bay sunset while dining at the upscale restaurants located inside S Maison which is located on the second and third floors of the hotel building. 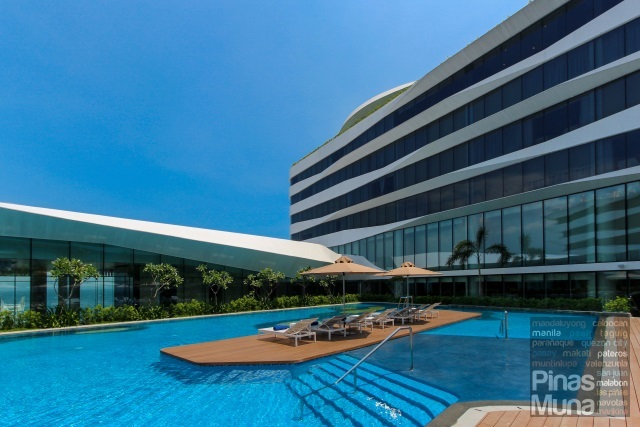 Designed like a sun deck of a cruise ship, Conrad Manila's outdoor Swimming Pool has a tropical resort feel. The shape of the pool is inspired by the coastal seas of the Philippines, with one end overlooking the bay. Surrounding the pool are sun loungers. Guests can also order drinks and snacks from the poolside bar. A shallower portion of the pool is perfect for kids while the deeper 1.6m portion is perfect for morning or afternoon laps. 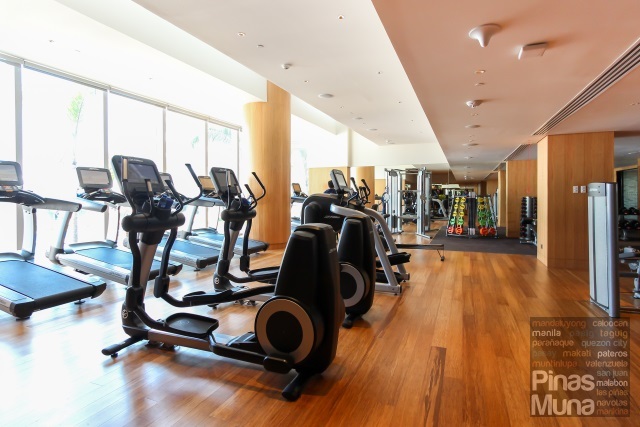 Conrad Manila is one of the very few hotel in Manila with 24-hour Fitness Center. Accessible from the swimming pool area, the fitness center features state-of-the-art work-out equipment, such as the treadmills with an integrated 16-inch personal viewing screens with access to more than 80 local and international cable channels. A personal trainer is on duty to assist guests with their training needs. 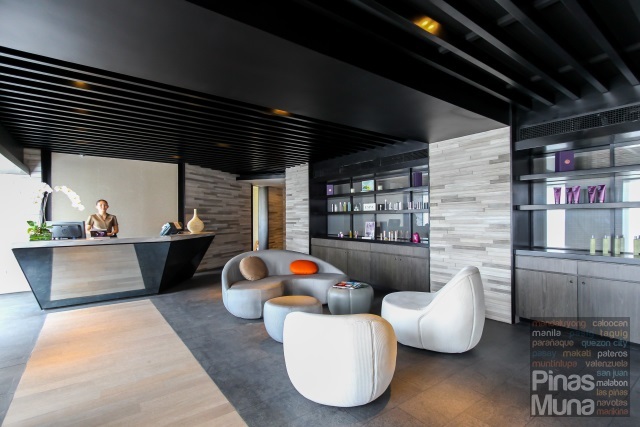 Business and leisure travelers seeking for the ultimate relaxation experience should visit Conrad Spa. It boasts of six individual treatment rooms with soaking tubs, private sauna and steam facilities. Guests can choose from a variety of locally inspired treatments. 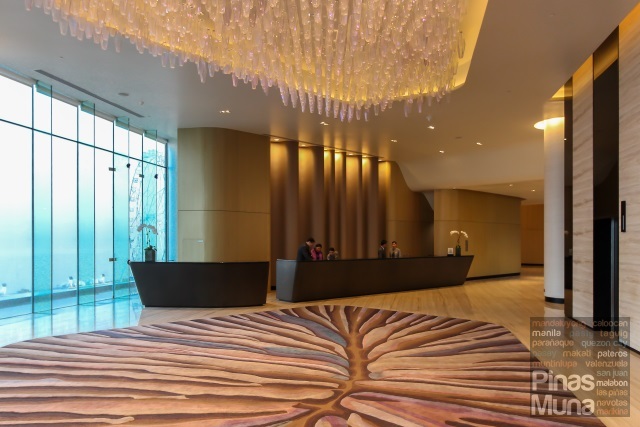 Conrad Manila is definitely one of the Best Luxury Hotels in Metro Manila most notable for its state of the art features, astonishing interiors, award-winning architecture, and the most spectacular view of the Manila Bay sunset. 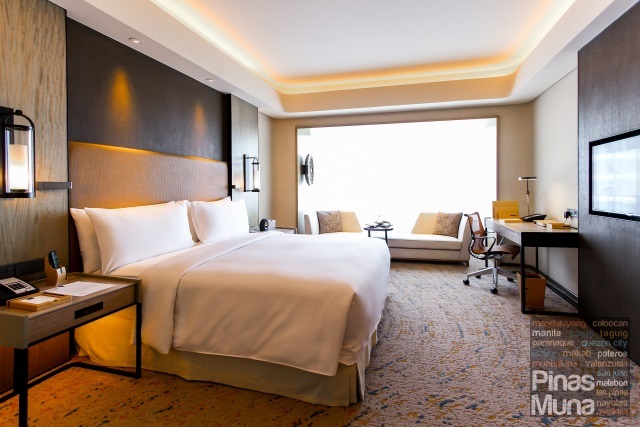 With world-class service and excellent food quality, business and leisure travelers will definitely enjoy their stay at Conrad Manila.